Parker e Ben são melhores amigos e moram juntos a 6 anos, desde o tempo da faculdade. Parker namora a vários anos, Ben por outro lado faz a linha do pega mais não se apega e traz cada dia uma moça diferente para casa. A relação de ambos é super bem resolvida. Tudo vai bem até o dia em que o namorado de Parker resolve dar o pé na bunda dela. Magoada e triste por ter dedicado tantos anos a um homem que não lhe deu valor, ela tenta experimentar o estilo de vida de Ben de pegar e não se apegar. Mas, logo de cara Parker vê que não vai conseguir seguir neste estilo de vida pois precisa conhecer o cara para conseguir ir para cama com ele. Depois das tentativas frustradas de Parker os dois acabam chegando a um pacto de dormirem juntos até um deles canse e peça para parar, dessa forma eles continuam na amizade e suas vidas normalmente. O problema disso tudo é que ambos começam a ver que na verdade tinham algo muito maior que uma amizade. Muitas coisas irão acontecer e a partir daí. Parker e Ben enfrentarão seus fantasmas mais profundos e a amizade deles será posta a prova. Comédia romântica de qualidade. 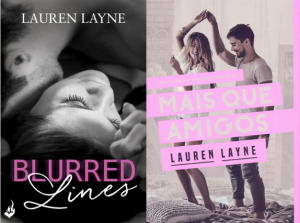 Lauren sabe conduzir muito bem os acontecimentos e trabalhar cada personagem. Dá uma certa raivinha do Ben e da Parker em alguns momentos por conta de atitudes bestas? Dá. Mas nada que você não consiga relevar num cenário final sabe!? Leitura mais do que recomendada, especialmente se você está procurando um romancezinho quente no melhor estilo amizade colorida. PS: A capa da versão brasileira é beeem mais bonita que a versão original americana. Parker and Ben are best friends and have lived together for six years since college time. Parker dates for several years, Ben on the other hand makes the line of no strings attached and brings each day a different girl home. Their relationship is very well resolved. All goes well until the day Parker’s boyfriend dumps her. Hurt and sad to have spent so many years with a man who has not given her any value, she tries to experience Ben’s lifestyle of no strings attached. But Parker soon realises she will not be able to follow this lifestyle because she needs to know the guy to get to bed with him. 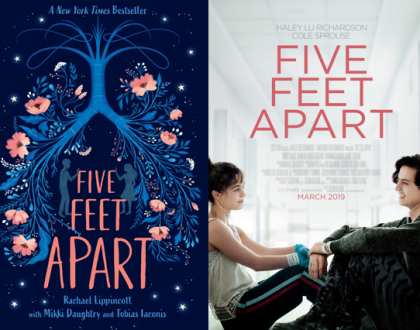 After Parker’s frustrated attempts the two end up arriving at a pact of sleeping together until one of them gets tired and ask to stop, that way they continue in the friendship and their lives get back to normal. The problem with all this is that both begin to see that they actually had something much bigger than a friendship. Many things will happen from there. Parker and Ben will face their deepest ghosts and their friendship will be put to the test. Romantic comedy of quality. Lauren knows how to handle events well and to work on each character. Do you get annoyed because of Ben and Parker silly behavior sometimes? Yes, you do. But this is nothing you can’t ignore in a final bigger scenario, you know!? 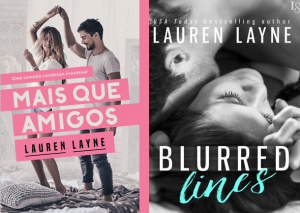 Reading more than recommended, especially if you are looking for a hot little romance in the best friends with benefits style. 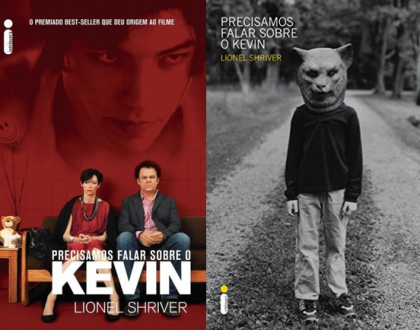 PS: The Brazilian book cover version is prettier than the original American version.